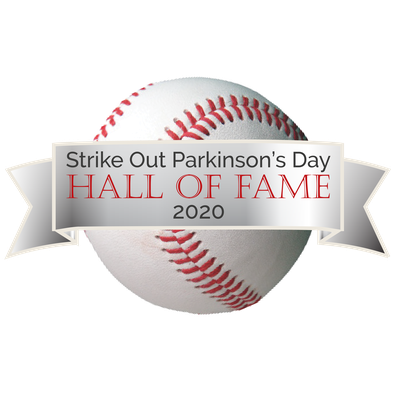 Much like the Baseball Hall of Fame, the Strike Out Parkinson’s Day Hall of Fame will honor those who are true champions of Parkinson’s Disease. Whether or not you are able to attend Strike Out Parkinson’s Day, the Hall of Fame allows you to participate by recognizing a loved-one, a care partner, family member, spouse, or anyone living and dealing with Parkinson's Disease. For a minimum donation of $100, your honoree's name will be displayed on a sign in the Hall of Fame at Fluor Field on Strike Out Parkinson’s Day. To honor someone, use the "Select Option" drop-down menu, select "SOP Hall Of Fame" and then input your honoree's name. Click the Donate Now button to make your donation on our secure PayPal form.